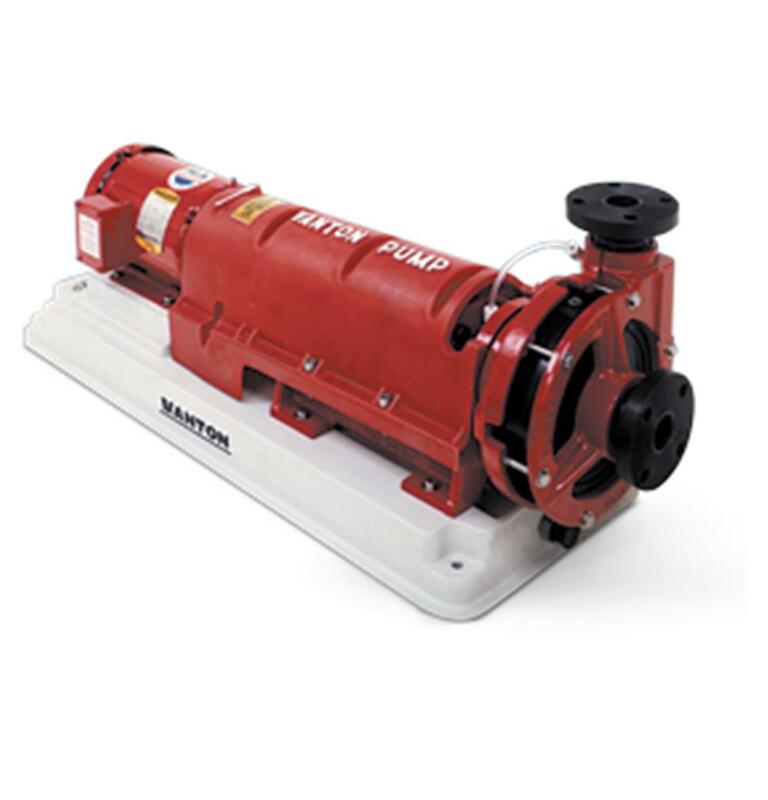 Vanton CHEM-GARD® thermoplastic heavy-duty pumps are designed and constructed to maximize the unique properties of solid, homogeneous, chemically inert thermoplastics. Engineered to efficiently and safely handle corrosive, abrasive, and other aggressive fluids, Vanton pumps are also ideally suited to handle deionized and ultrapure water, pharmaceuticals, reagent grade chemicals and any fluid that must remain free from metallic contamination. 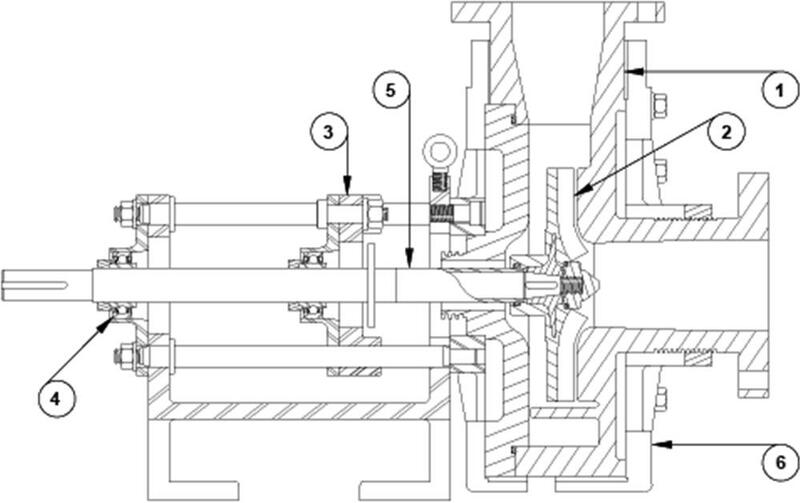 Mechanical seals are reverse mounted to assure no metal-to-fluid contact. Vanton injection molds casings, covers, and impellers from a broad range of homogeneous thermoplastics, ensuring that the wet end of each pump is chemically inert to the fluids — and resistant to the abrasives — it may encounter. These thermoplastics include: polypropylene (PP), polyvinyl chloride (PVC), chlorinated polyvinyl chloride (CPVC), polyvinylidene fluoride (PVDF). The unique, wide-open power frame design of CG, CGA and PG models features an adjustable front bearing that cuts maintenance by allowing easy inspection or resetting of mechanical seals without disturbing the piping. Mechanical seals are reverse mounted, limiting fluid contact to non-metallic surfaces. Because of the unique, wide-open power frame design, virtually any commercially available mechanical seal can be accommodated. This award winning design allows the ability to position the inboard bearing immediately behind the mechanical seal, minimizing shaft deflection and impeller overhang. With thermoplastics typically being 80% lighter than metals, and coupled with the forward positioning of the inboard bearing, these rugged pumps with minimal shaft deflection and impeller overhang deliver vibration-free, corrosion-free performance and offer exceptionally long life with minimal maintenance. Heavy duty, self-aligning bearings widely spaced on the shaft, assures perfect alignment for maximum stability and long seal life. External cast iron protective armor is completely coated with a chemical resistant, two-part epoxy paint to guard against chemical and atmospheric corrosion. *Baseplate dimensions will vary with motor frame size.